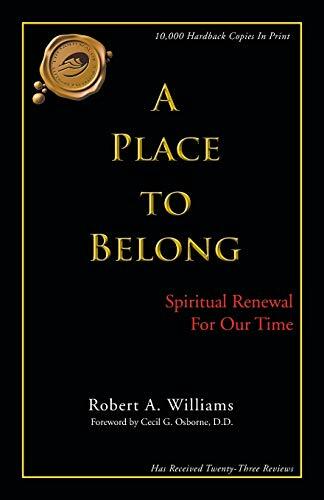 Robert A. Williams is the Founder and Director of The Encouragers, a Christian ministry of helps in Dallas, Texas. He holds the B. A. B. D. and Th. M. degrees and is an ordained minister, counselor, lecturer, and the honorary director of the Conference on Spiritual Renewal based in Texas. He is a former pastor of several churches and a long-time volunteer Bible teacher for the Adult Rehabilitation Center of the Salvation Army in Dallas. He is the author of three other books and several magazine articles. In addition, as a business entrepreneur, his work has appeared in one regional and two national magazines. He and his wife, Eve, live in Dallas, Texas.